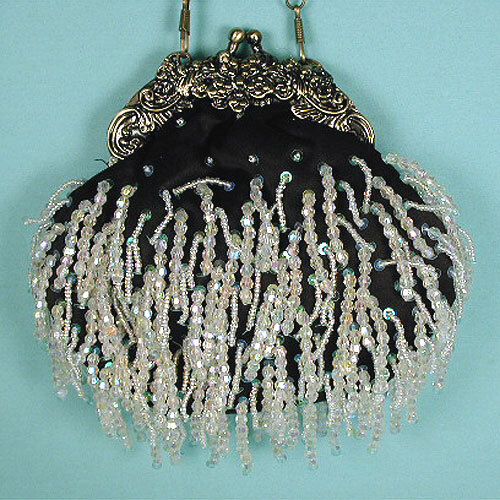 Vintage Look Small Satin Beaded Bag with Faux Antique Frame This beautiful satin evening bag has layered rows of translucent fringe beads. An antique frame with a ball and socket closure give it a vintage look It includes a shoulder chain but may be worn as a clutch bag. The fabric makes a lovely background in black, hot pink, pink and aqua. It perfect for a prom or wedding or night on the town. Color: black Hue: Code: #000000.